the third day according to the scriptures." Such a thoughtful comment! When I first chose that title for my Sunday photos, I wanted the posts to invoke "thoughtful consideration" - but I also wanted to use the Sunday photo + Scripture to reflect the love and light of our Lord back to others. I know that I do not spend enough time adoring or magnifying Jesus. I talk to Him. I talk about Him. But I don't flat out let myself adore Him. Thank you for this reminder. Isn't that the truth, Jamie? I appreciate that you always seem to really think about & absorb these Sunday Scripture posts. 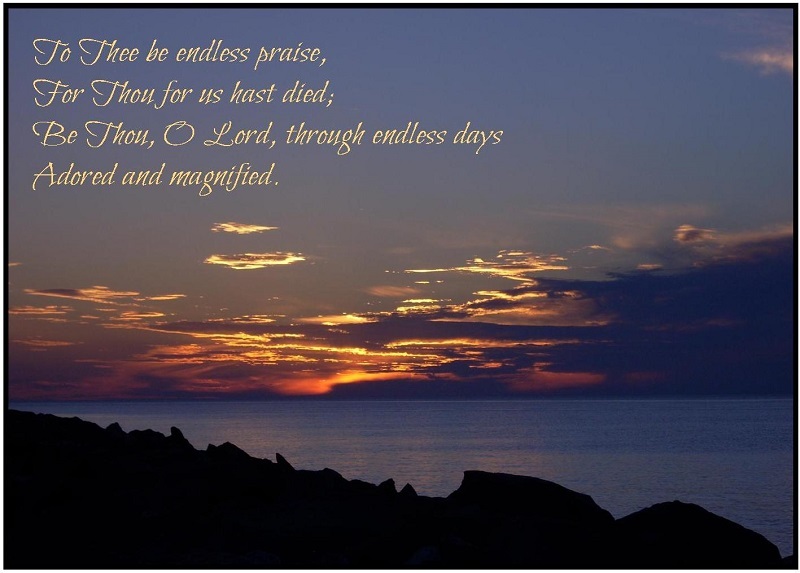 Such a beautiful photo and the words of that hymn are perfect! Amen! A beautiful Scripture to think on at the close of this Lord's Day. So beautiful - the photo and the words!